UPS has joined the coalition of the world’s largest consumer product companies and international recycling company TerraCycle to unveil an innovative reusable and returnable system for managing consumer product packaging. The system, called Loop, will be tested in Paris and New York as a first step toward full implementation in consumer markets. The Loop system eliminates the reliance on single-use packaging for consumer goods. Consumers will be offered a variety of products in customized, brand-specific, durable packaging that is delivered directly to customers, then collected, cleaned, refilled and redelivered. 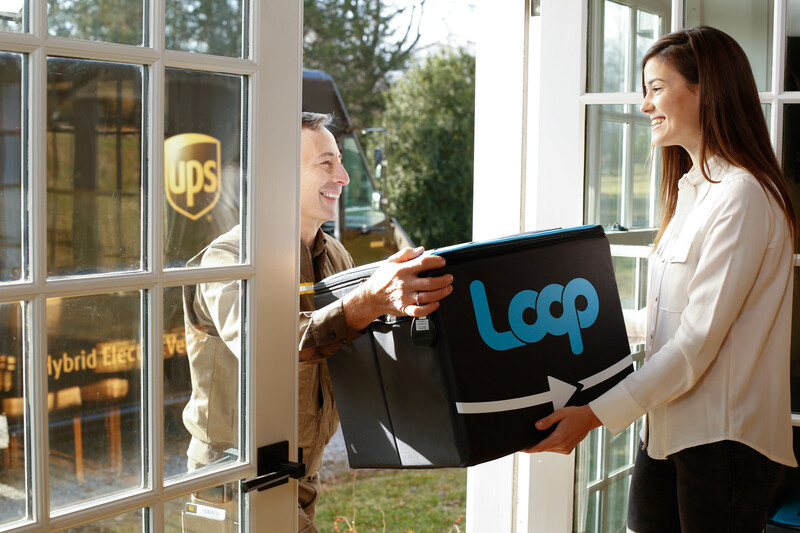 “Loop will not just eliminate the idea of packaging waste, but greatly improve the product experience and shopping convenience,” said TerraCycle CEO Tom Szaky. Loop products will be delivered and picked up via a system designed by TerraCycle and UPS, representing the latest advances in TerraCycle’s long-standing partnership with UPS, a logistics leader and packaging expert. Loop customers will receive durable, reusable or fully recyclable packaging made from materials such as alloys, glass, and engineered plastics. Even the outer shipping container is part of the design innovation; a state-of-the-art shipping tote will eliminate the need for single-use boxes and offer consumers an elegant solution that reduces waste.